From CRYSTAL WORLD's Sports Awards Collection, "Golf Ball" is a popular figurine that will make an ideal incentive or recognition gift. 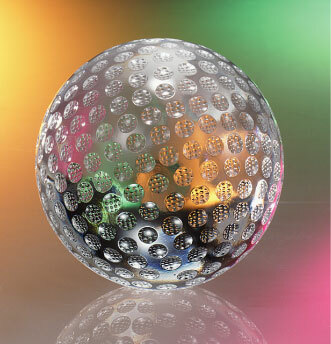 Designed with the finest optical crystal, this crystal ball with golf dimples will make the perfect award for athletes, and can serve as an ideal recognition piece in the corporate or government world. Available in several sizes.